 Home Girls Glamour A story of a self-dependent women!!! This is a story of a beautiful woman, who is calm and composed and highly educated. She works on a reputed post in a firm, and indulges in different charitable and social activities. She works hard to balance her personal & professional life. But she finds neglected and worthless at home. She works with numerous people and gets respect and admiration from everyone due to her dedication at work. In order to fulfill her duties at work and at home, she ruins her health. She only concentrates on her responsibilities towards her work. At the end of the day when she returns home, she gets weird behavior from her family and finds herself useless and good for nothing. Why? Jyoti, a kind hearted woman from a small town in India is famous for her hard work and devotion at work. Every morning she was awake by 5.00. After finishing her all household chores she had her breakfast by 8. With a cup of hot ginger tea in hand and Newspaper on the table, she quickly eats her regular breakfast. In meanwhile, her mother in law ‘Vaibhavi’ wakes up. Jyoti serves her breakfast and goes to work. She is always on time, but today it was past 9 AM but she didn’t arrive yet. Due to heavy rains, she was stuck in traffic. She was 10 minutes late today. Everyone at work was waiting for her. As soon as she arrived, she was honored with a big round of applause and beautiful flowers. She was surprised and felt pleased to see such response from her colleagues. But she was still unaware of the fact that her project to collaborate their firm with the Multinational Company was approved. Mr. Bose – her business partner appraised her work. She was entitled as “Lady Luck” by her staff, as whatever project or assignment she undertakes, gets positive outcome. That evening when she arrived home with some ice-cream to celebrate this deal with her family, her mother-in-law was bursting in anger. She ill-treated Jyoti and said many bad things to her as Jyoti was late just few minutes from work. Jyoti as always listened calmly and explained to her that she while returning from work just stopped at a shop to buy some Ice-cream for her. But Vaibhavi wasn’t ready to hear a single word. She went to her room without having her dinner. Ice-cream melted and started dripping. And so did Jyoti’s eyes. No one had anything that day. It’s not just today when Vaibhavi is angry on Jyoti. From last few years this is what happens every day with Jyoti. The reason was not understood by Jyoti. Though Jyoti did her best to fulfill her needs and demands but she was never appraised. She was always neglected and made feel as if she is worthless. On one hand she was taking decisions and handling big assignments at work and on the other she was been ignored and disrespected. She was confused with Vaibhavi’s behavior. Many times she tried to sort out their differences but all was in vein. No doubt there were problems, but could be handled by Jyoti’s husband ‘Rajiv’. But he worked in different city and was home only on weekends. Jyoti’s and Vaibhavi’s differences increased with time. Jyoti was always in search of a valid reason of Vaibhavi’s bitterness towards her. Next day after her work she went to her charitable trust for a visit where she met a young girl named Riya. Riya was working on a project related to human’s psychology and had good discussions about human behavior with Jyoti. Talking with her Jyoti realized that Vaibhavi’s behavior is due to the loneliness she has in her life. She is extremely tired and exhausted of being alone at home and now the situation is that, it has started affecting her physical and mental health. Loneliness is fear which Vaibhavi was facing it. Loneliness brought stress, anxiety and sorrow in Vaibhavi’s life. No doubt how much Jyoti performs well at her work but when she returns home, she unknowingly lives Vaibhavi alone. Vaibhavi lives with her son and daughter in law, Rajiv and Jyoti. Vaibhavi’s husband died years before in an accident. Since then, she is in the state of isolation. She has occupied herself in the house. Not going out or meeting anyone. May be she needed someone to talk with and share her feelings. Previous articleWhen kids spend too much of their time watching TV and Mobile?? ?